View all 2 versions of Anchor Trish on BTVA. 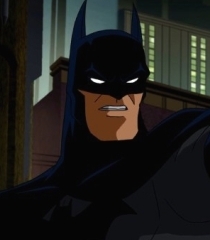 Shows: Batman: The Animated Series, Batman with Robin the Boy Wonder , Beware the Batman. Movies: Batman: The Killing Joke, Batman: Mystery of the Batwoman, Batman Beyond: Return of the Joker. Games: Batman: Arkham VR, Batman: Arkham Origins Blackgate, Lego Batman 3: Beyond Gotham. Shorts: Lego Batman, Batman Beyond, Batman Of Shanghai.